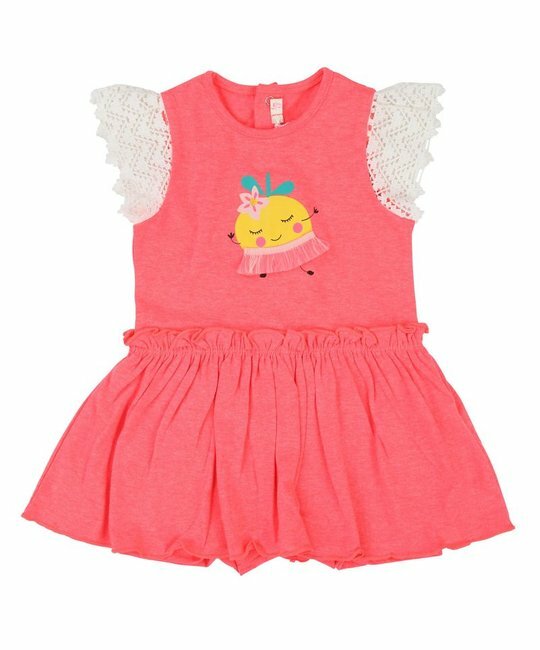 Billieblush pink ruffled sleeve dress with cotton lace sleeves and fancy illustration on the front. 65% Polyester, 35% Cotton. Imported.